From His Imperial and Royal Majesty’s Own Office. Early this afternoon I was informed of the catastrophic fire that is destroying the Cathedral of Notre-Dame de Paris. It is impossible for me not to remember the visit I made to Paris at the end of 2013, which I extended until the beginning of 2014. Among my impressions on the French capital, one of the most striking was that of the cathedral in particular. I felt my soul being filled by faith, by history, by beauty, and by the grandeur that permeated that place. Invaluable treasures were protected by their walls and excited hearts gathered there to pray, to admire, and to learn. Historical, cultural and religious landmark, it is a unique place in the world. I did not dare to see many scenes of what had happened. It is not what I want to keep in mind when I think of Paris, a city that has wonderfully welcomed me and of which I have great longing and admiration. But I know that this suffering will lead to the bravery and historical and cultural reverence that mark the personality of the French people. Let us all leave this tragedy, as humanity that loses one of its greatest treasures, like a phoenix: sprouting life from the ashes. 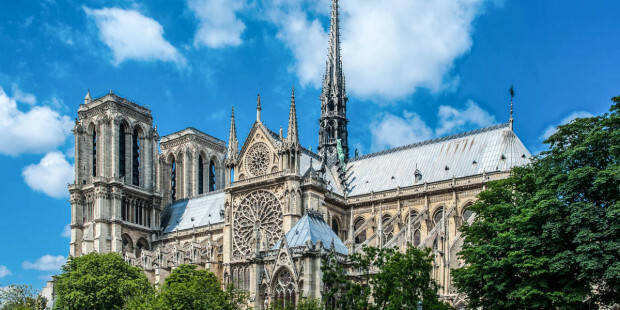 We will rebuild the Cathedral and in thought, it occurs to me that one of the great values of the West is to overcome tragedies and grow even more. We will look, by virtue of our loss, with greater reverence for this landmark that is also the heart of France. We stand in solidarity with the French Catholics and the Parisian population. We pray for the firefighters and for all those who do the best to deal with this situation and who have heroically saved many of their treasures.